Let’s take a look at the rights that you have, as a union member, to participate in the democratic workings of the collective bargaining representative. The primary law setting forth your legal rights to participate in your union grows out of a federal statute passed in 1959, known as the Landrum-Griffin Act. Specifically, the Labor Management Reporting and Disclosure Act (LMRDA), administered by the US Department of Labor, covers unions with members in the private sector. (If your union represents both public and private sector workers, this law may apply to you, as it will if you are a U.S. Postal Service employee.) The LMRDA’s “Bill of Rights of Members of Labor Organizations” contains an “equal rights” provision, guaranteeing all union members the right to nominate candidates for union office, to vote in union elections, and to attend and participate in union meetings. While the federal law does not require labor organizations to hold meetings, it does say that when meetings are held you have the right to participate fully. The labor “Bill of Rights” also guarantees “freedom of speech and assembly.” The law does say that unions are allowed to have “reasonable rules” regarding how they run their affairs. But you, the union member, have a guaranteed right to have and to express your viewpoints on the union and those who lead and participate in it, even if those viewpoints are critical or negative ones. While the decision whether to hold meetings may be left to the discretion of a union, a different rule applies as to holding elections for union officers and conducting a referendum on dues increases or other financial assessments of members. At least for unions covered by the U.S. LMRDA (Labor Management Reporting and Disclosure Act), there are detailed requirements dealing with the frequency of elections for union officers at all the various levels of a union, and how those elections must be conducted (including requirements as to types of balloting—on the jobsite, by mail, and so forth). At the local level, your union must provide for election of officers by secret ballot, and it must do so no less frequently than every three years. When a workplace issue arises, different individuals or groups within the bargaining unit may well have different and conflicting stakes in possible outcomes. For example, in contract negotiations the union can push for raises calculated as a percentage of salary or for raises as a flat dollar amount. The first formula puts more money in the pockets of those who already earn more, while the second ends up providing a greater percentage salary increase to lower-paid employees. There may be lots of good policy arguments for and against each of these alternatives, but in the end, whatever decision is made is going to be better financially for one group and worse for the other. Since there’s no way around this, the union is obligated only to act fairly in how it decides which direction to go, not to somehow come up with a magical solution that is perfect for everyone. As contract negotiations go on, the union may report back to the membership what items the parties have agreed to, and where the conflicts are. Sometimes members will be allowed—or even encouraged by the union—to sit in on bargaining sessions. If you can, take the opportunity to see firsthand how the union presents the employees’ point of view, and how the employer responds to the union’s agenda. It can be a real eye opener to witness the employer’s representatives “just say no” to things you know are totally reasonable. And it sends a useful message to the other side, too, when they see union members willing to take the time to show up and visibly support their bargaining team. A grievance is not a device for curing whatever ails you; your contract itself will have a definition of what is and is not covered by the grievance procedure. The most favorable definition of the scope of a grievance—though not the most common one—gives you the right to use the contract grievance procedure to challenge any area of concern connected to your workplace life. More commonly, a grievance will be defined in a more narrow fashion, covering at most only challenges to specific provisions in the contract. The first president of the AFL, Samuel Gompers, worked hard in the aftermath of World War I to establish the International Labor Organization (ILO). This organization, now a specialized international agency of the United Nations, has a tripartite structure, meaning equal representation from governments, employers, and worker organizations. It seeks to open up a “social dialog” to deal with international problems directly affecting workers and to evaluate the standards for workers around the world. If you work for a company, especially a big one, chances are good that there’s a handbook with all sorts of rules on things like attendance, dealing with customers, and other specifics about what’s allowed and not allowed on the job. Similarly, the typical government employer has agency regulations that control scheduling of time off, how inclement weather days are determined, and countless other topics. These are areas that may or may not be addressed in the union contract. Though they’re not likely to take precedence over specific terms of a contract, they may well be rules that are binding. Some of organized labor’s proudest moments have come at those times in American history where unions took the lead in a fight to improve our society. Martin Luther King, Jr. was gunned down in Memphis in 1968, the day after delivering his “I’ve Been to the Mountaintop” speech. But how many Americans know that what brought Dr. King to Memphis was the melding of a labor union contract fight and the growing force of the civil rights movement? There long has been recognition on the union side, as well, that our fight for improved working conditions is connected to the social justice movement in the larger society. The Family and Medical Leave Act (FMLA) went into effect in 1993, intended to provide a means for employees to balance their work and family responsibilities. It does this by saying that workers are legally entitled to take unpaid leave because of any of the following: the birth, care, or adoption or foster care of a child; the care of an immediate family member with a serious health condition; or the employee’s own serious health condition. This law also gives returning employees the right to go back to their old jobs, or to equivalent positions, without being penalized. The Department of Labor can investigate FMLA claims and enforce the terms of the law. Because the FMLA doesn’t cover all workplaces and requires an employer to grant only unpaid leave (and then only under certain circumstances), your union contract will likely contain better provisions. And if this is the case, the rights in your union contract will have priority over those in this federal law. Depending on what your collective bargaining agreement says, it may be that the way things are in your workplace—established “past practices”—are actually enforceable under the contract or in another legal forum. Arbitrators resolving contract disputes will sometimes rule that employees have the right to do something the way it’s always been done, even if there’s no explicit language saying so in the contract. For example, at night you may park in a close-by customer lot because that’s where everyone always parks, even though the contract doesn’t say anything about parking. Suppose one day your employer puts up a sign prohibiting parking there. The union may well have a grievance it can win that the “past practice” of parking in that lot can’t be changed unilaterally. The 1989 federal Worker Adjustment and Retraining Notification Act (WARN) applies to most businesses with 100 or more employees, requiring that they give sixty days’ advance notice before closing a facility or conducting a mass layoff. This law is supposed to give workers and their families some transition time to adjust to the loss of employment, including obtaining retraining to make it easier to find a new job. Your union contract probably has provisions that will come into play if there’s a shutdown or layoff. These contractual rights go far beyond what the law provides for employees who don’t have a union. The WARN law won’t stop a company from making business decisions based on its economic condition. But this law is still a valuable one. As a practical matter, the sixty-day “heads up” to a union can provide the time needed to organize community opposition to the company’s decision or to apply some other form of pressure to turn it around. Veterans and reservists who served on active duty for at least 180 days and who did not receive a dishonorable discharge, or were released or discharged from active duty because of a service-connected disability, are covered by federal laws providing for job counseling, training, and placement services, as well as re-employment by their pre-service employer. In some cases, the law entitles them to preferential treatment in getting a job. Employees of government contractors who have a service-connected disability have legal protections against certain types of employment discrimination. The Department of Labor investigates claims under these laws and has the authority to take appropriate enforcement action. Before just about any workplace complaint is put into writing, as a formal grievance, an attempt should be made to work through the problem at the lowest level. Even if your contract’s grievance procedure doesn’t specifically call for an informal oral step to start out with, you and/or your union steward should talk to a supervisor in an attempt to clear up any misunderstandings, or to resolve any disagreement. This is almost always a good idea, in part because once a complaint is committed to writing, parties’ positions tend to harden. And even if an informal attempt to address a problem does not in fact resolve it, it generally has the beneficial effect of clarifying what the problem is and how the parties may see it differently. But if informal attempts don’t work, the next step consists of formally putting the grievance in writing. Generally the idea is simply to lay out, at least in general terms, that an identified action taken by the employer is being challenged, and that certain relief is sought. Your contract booklet itself may contain a sample form to be used to initiate a grievance. One or more face-to-face meetings take place following the filing of a formal written grievance. At these meetings, the union and the employer representatives try to hash out whether they agree on what the facts are, whether the contract has in fact been violated, and if so, what it will take to resolve the grievance. There is a confusing patchwork of laws and agencies that govern workplace health and safety matters, but they’re all extremely important. Six thousand American workers are killed on the job each year, and there are far too many instances of unnecessary workplace injuries and illnesses. The best-known workplace health and safety law is OSHA, the Occupational Safety and Health Act, which is administered by the Department of Labor’s Occupational Safety and Health Administration, also called OSHA. Some workplaces (such as those in the coal mining industry) are regulated by a separate law, and almost half the states administer their own, federally approved programs for public sector employees. Other laws and federal agencies, such as the Environmental Protection Agency, play a role as well. And in all likelihood, your union contract has extra protections for your workplace health and safety. Your union contract will not cover everyone in your workplace. Probably on the first page or so, you’ll find the definition of the bargaining unit and jurisdiction covered. Whether the boundaries of contract coverage are based on type of work performed, location, or other factors, the agreement itself will set forth who’s covered and who’s not. And with technology and other factors transforming American workplaces at a rapid pace, your contract may even specify how it is to be determined whether new types of work that come into existence will or won’t be covered by the terms of the contract. At an arbitration hearing, the human dynamics can get a little tricky. The last thing you want is for the other side or the arbitrator to get the impression that you and the union representative are not completely in sync. So make sure that you understand pretty clearly what is going to take place at the hearing before you enter the room. Work this out with your representative, but usually it will be preferable for you to write notes during the hearing itself, rather than try to talk to your representative, which is likely to be too distracting. There will be plenty of breaks during the day during which you can talk things over. Keep in mind that it is natural for it to take a fair amount of time to complete the arbitration process. And even after the “final and binding” arbitration award is issued, either party to a case may pursue an appeal. Sometimes an appeal is simply one more item in an employer’s bag of tricks to delay and add unnecessary expense to the union’s pursuit of justice. So while you have every right to be insistent about being informed about the progress of your case, you also have an obligation to be reasonable in your expectations about how quickly it will be resolved. • The meeting is an investigatory interview. This means that you are expected to answer questions in connection with an inquiry into possible wrongdoing or unacceptable behavior. • Disciplinary action may result from the meeting. The law requires only that disciplinary action – of any severity – is one possible result of the meeting. • You “reasonably believe” that disciplinary action may result. • You make a request for representation. Your employer generally is under no obligation to inform you of your right to be represented. It’s up to you to know your rights, and to assert them. There are two reasons for you to become personally involved in organizing activity outside of your workplace. First, a healthy, effective union is one in which the members pitch in to do the work, greatly increasing the people-resources of the union. Second, no matter how skilled professional union staff may be—if there is one at all—there is an extra measure of credibility when an already-organized employee speaks directly to an unorganized worker about day-to-day experiences. The successes of member-to-member organizing are clear: one study issued by the AFL-CIO, for example, documents that unions win representation elections in 73 percent of the organizing drives conducted by ordinary members but in only 17 percent of those conducted by professional staff. If you’re going to participate in the union decisions that affect your workplace life, you should do so intelligently. This means taking the time to learn about the union and the issues it is dealing with on behalf of the members. If you don’t have a copy of the union contract, get one and look through it, at least enough to get a good idea about what topics are covered and what the specifics are. Make a mental note not only of what rights the union is already in a position to protect but also what improvements you’d like to see in the next round of bargaining. Even when the union and the employer reach agreement at the bargaining table on all items for a new contract, it’s usually not yet a done deal. Others often must approve these “tentative agreements” before they are signed, sealed and delivered. On the employer side, sometimes a board of directors or higher-ups in the organization will have to give their approval, or, in the public sector, the legislature will have to fund a wage or benefit increase. On the union side, either the union bylaws or the practice of the union usually provides for member ratification of the agreement—a vote to accept or reject. (Keep in mind, though, that there are some situations when you won’t get to vote approval or disapproval of a contract; for example, if a settlement ultimately is handed down by an outside arbitrator.) Either at a union meeting or through printed material or a union website, you should be provided a full opportunity to educate yourself on the provisions of the tentative agreement. Usually, the bargaining team or the union leadership will make a recommendation on whether the contract should be voted up or down. Your union leaders may well recommend a “no” vote on the contract, as a tactic. A vote by the rank and file to send the union negotiators back to the bargaining table, after tentative agreement has been reached on a new contract, is sometimes an effective way of showing the employer’s negotiators that what’s been offered just isn’t enough to settle the contract. Unions begin preparations for bargaining by educating their members about how and when bargaining will take place, and what the issues may be. To find out what’s on your mind, your union may hold meetings to ask you and your co-workers directly what problems you’d like your negotiators to tackle in bargaining. Very often some sort of written survey is distributed to determine what the top priorities should be, and how important each one is in the members’ eyes. (This communication is a two-way street: savvy union negotiators use questionnaires or newsletters early on not only to gather information but also to educate members on the issues that probably will be major areas of labor-management conflict in bargaining. Used this way, a bargaining survey is a tool to begin to build unity.) Whether it’s a written questionnaire or a workplace meeting, this first stage is your opportunity to weigh in on the things in your working life that you’d like to see changed through bargaining. Strikes are riskier than they used to be. In the past, it was pretty much par for the course that when a union needed to bring pressure to bear, it simply would “stop production”; that is, the members stopped working. As a practical matter, in a manufacturing setting this meant simply preventing Widget Company from continuing its widget production. In a service setting, the workers simply no longer provided services to customers or to the public. But as effective as strikes still can prove to be, in some industries changing technology has meant that it is increasingly difficult for unions simply to “stop production” in this way. Over the years, both private sector companies and public employers have become much more aggressive in their responses to strikes. Both have tried more and more to get rid of strikers and do what they can to continue to conduct business as usual. There are no hard and fast rules for what the union must do to live up to its duty of fair representation. There isn’t even a precise definition of what that obligation consists of. When the United States Supreme Court and the National Labor Relations Board have wrestled with the meaning and extent of this obligation over the years, they have described it in such ways as “an honest effort to serve the interest of all … without hostility to any” and the right of bargaining unit members to be free from “unfair or irrelevant or insidious treatment” by their union representatives. 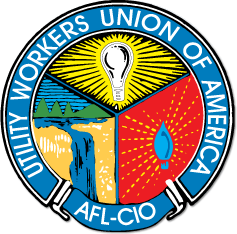 The catch phrase often used is that unions breach their obligation when they engage in actions that are “arbitrary, discriminatory or in bad faith.” But the union obligation to represent the interests of all unit members fairly does not translate into a legal obligation always to speak for each individual member, or to be flawless in performing its representation duties. Be aware that there sometimes is a difference between what you know actually occurred and what you can prove as a matter of law. You’d be kidding yourself if you thought that there’s never been an instance in which a worker was in fact retaliated against by his or her employer for having engaged in behavior that is legally protected but was unable to prove that the retaliation took place. Still, don’t let this prevent you from asserting your rights. There have been plenty more instances where the agency charged with enforcing a law moved aggressively against an employer trying to prevent an employee from asserting rights under that law. After all, if all employees are successfully intimidated into not using the provisions of the law, that agency becomes useless. The contract sets the criteria under which your employer can cut hours or lay off employees. For example, it may be necessary for the employer to prove that there is a “compelling business necessity” to justify any shrinking of the workforce. And the contract will cover how it is determined which employees get to keep their jobs and which don’t. (This is often determined by seniority, that is, length of service with the employer.) There may be detailed procedures including such items as how much notice must be given, determination of severance pay, retraining rights, and priority for being rehired in the future. The relationship between a union and those it represents is the same as between a nation and its citizens. Unions exist because employees see that dealing with an employer only as individuals ultimately puts each of us in a weaker position. So we make the decision to work together as a group, and to have our elected union representatives implement decisions on behalf of the group. Will you agree with every single decision made by your union? Not a chance. But just the same, you and every other represented employee in your workplace benefits overall from the group decisions and actions. Bargaining a contract from start to finish can take quite a bit of time, with agreements being reached point by point until the entire new contract is in place. Sometimes, bargaining is not wrapped up by the time the old contract has expired. When that happens, one of two things takes place: either the parties keep bargaining or there is a showdown then and there. Depending on a number of legal factors and what the parties work out, if bargaining continues past the expiration date of the old contract, sometimes the terms of the old contract will remain in effect, anyway. So even though in some ways you’re in between contracts, your employer still has to do what the old contract required. The heart and soul of any union is its members, and they are pulled together by a network of first-line union representatives, often called stewards. Your union may use a different title for this position, such as department rep or representative spokesperson, but the functions will be the same. Stewards are the “eyes and ears” of the union, keeping track for the union of what’s happening on a day-to-day basis. An effective steward functions as a two-way pipeline: passing information along to higher-ups in the union, so that they can formulate plans to respond to employer actions, and making sure that the union members in their areas are kept informed about what’s going on within the union. One of your union steward’s responsibilities is to greet new employees and fill them in on the union. But you can supplement this function very effectively by making a point of talking to newly hired workers about your personal experiences with the union, and making sure that they sign up. Having the union talked up by someone who is not a union official of any kind can go a long way toward creating the needed state of mind that when you get right down to it, the union is “us,” not some separate organization. Your role as a union ambassador is perhaps even more critical outside the workplace. There are a lot of popular misconceptions about what unions are and what they do. You don’t have to look far to find people buying into stereotypes that portray unions as consisting of nothing but fat cat bureaucrats living the good life off of hard-earned dues dollars and cutting shady deals with employers and politicians. Though stereotypes can contain a grain of truth, this negative image is not at all an accurate depiction of the reality of labor unions today. In a non-union setting, workers count on their own individual strength; in a union setting, workers count on their own strength plus the collective strength of the group. In a non-union setting, the employer makes all the rules; in a union setting, the rules are negotiated by the union and the employer. In a non-union setting, the employer enforces the rules however he sees fit; in a union setting workers have a procedure in place to respond to unfair enforcement of rules, even to the point of having an outside, neutral arbitrator decide who’s right. In a non-union setting the employer decides what employees will be paid and what benefits, if any, they will receive; in a union setting the employer is required to negotiate with the union on all pay and benefit issues the union brings to the bargaining table. The structure and the power relationships of a workplace where there is no union are very different from those in a unionized facility. In the non-union workplace, employees are simply a collection of individuals, organized into groups according to the employer’s needs. Workers are categorized based on what type of work you do, the location in which you perform your work, the shift you may happen to work on, or other factors relating to the ways in which the employer chooses to get the work done. Some employers deliberately structure the work and the workplace precisely to discourage the unionization of their employees. But with a union, those who work for a particular employer are no longer just a bunch of individuals; they are a collective unit, as well. The union has the right -- and the legal obligation -- to speak with one voice, on behalf of all of the employees in what is known as the “bargaining unit.” This means that the employer loses the power advantage of dealing only with individuals, one-on-one. With union representation in place, the employer has to reckon with the union as the collective voice of all the union-represented workers. Your union contract is likely to specify what probationary period applies when new employees are hired. This is the period in which an employer is permitted to terminate an employee with little or no justification. Probationary periods can run from as little as thirty days for some less skilled work to a full seven years for college professors. What can sometimes make life in a union tricky is that the membership does not consist of people with 100 percent identical interests and needs. Within any group, there are some things that everyone has in common (like everyone in your union working for the same employer), but also other things are different (like night shift workers wanting extra pay for working at night, or day workers needing better parking). Sometimes only one employee has a workplace problem requiring union help, such as fighting a disciplinary action. But even though it’s just one person, the union must still advocate for that individual. And the union’s voice must be heard, as well, for all the different smaller groups of employees in the workplace, whether those groupings are based on shift, work classification, age, how much money people earn, or any other employment-related factors. Though it’s best to resolve workplace disputes at the lowest level possible – to save time and money, and to avoid uncertainty – quite often no resolution is possible by the last step of the grievance procedure. So you may find yourself at the end of the line: arbitration. While each of the meetings that takes place at the various steps of the grievance procedure is sort of a mini-“day in court,” an arbitration hearing is pretty much the real thing. An arbitrator is a neutral third party, usually an attorney, selected jointly by the employer and the union. Professional arbitrators function much as judges do in regular courts of law. Arbitrators swear in witnesses, rule on who can testify and on what evidence can be introduced. The payment for the arbitrator’s services, and certain other costs associated with the process, usually are split fifty-fifty by the employer and the union. If a supervisor wants to ask you questions about something on the job, ask what the meeting will be about. If the answer confirms that the employer is indeed looking into something of a disciplinary nature, then insist on having a union representative present, as is your legal right. You should say something along the following lines: "Since it seems to me that this meeting might lead to a disciplinary action being taken against me, I request that my union representative be present. If you will not allow this, I will respectfully decline to answer any questions unless you order me to do so." If it's not clear at first whether you might end up being disciplined, ask if there is "any possibility" that disciplinary action may result. If you get any answer besides "no", then insist on having a union representative present before going any further. (If someone from the union isn't available then and there, ask for the meeting to be rescheduled for a time when a representative can be there). Be a Set of "Eyes and Ears"
Union stewards can't be everywhere at once, and they can't see or hear personally everything that goes on around the workplace. So part of your job as an individual union member is to be on the lookout for things that the union needs to know about, and to pass along the necessary information. If, for example, a change is made in working conditions but too long a period of time passes before a grievance is filed, it may be too late to challenge the employer's unilateral action. So it's part of your responsibility as an individual union member to be the union's "eyes and ears" in your workplace. Nobody’s perfect, and no society is perfect, either. But all of us are capable of becoming better people than we are today, and we all strive to do so. Similarly, no matter how messy things may sometimes appear to be in the larger society, we try to bring about improvements to make things better for all. And our unions are no different. Like the people we know or the society we live in, no union is perfect. But all are capable of improving. Unions are every working person's best defense against employer excesses, and they are the way our collective voice is heard. The union is you and your co-workers; you have it within your power to make your union an ever-more-effective fighter for workplace rights and justice. Since you’re working in a unionized workplace, because of its role as “exclusive representative” your union is entitled -- in fact, required by law -- to represent every individual in the bargaining unit. But just the same, the law says that you cannot be forced to become a full, dues-paying member. Depending on a variety of factors -- the state you work in, whether you are a public sector or private sector employee, and what you union contract provides -- it may be that the most you can be required to pay is a portion of the full dues. You may even be able to get away with paying nothing at all. If that sounds tempting, you might want to think about other ways you could save a few bucks: not spending money to replace bald tires (a good idea until you hit a slippery stretch of road), or holding off on fixing your leaky roof (no problem, unless it should happen to rain), or not getting your children inoculated against polio. • “Mandatory,” meaning that the parties must bargain over them if either side wants to. Covered topics are those dealing with “wages, hours and other terms and conditions of employment,” including health plans, pensions, leave policies and so on. • “Permissive” or “voluntary,” meaning that either side has the right to decide not to bargain over that subject. Examples might be a proposal to change which employees are covered by the collective bargaining agreement. • “Non-negotiable” or illegal, meaning that the collective bargaining agreement cannot address that topic at all. The parties to a contract, for example, couldn’t legally bargain over whether or not only union members can be hired. It’s pretty easy to understand in the abstract the notion that “an injury to one is an injury to all.” And it’s also not too complicated to grasp that if I don’t speak up when someone else is being mistreated, that person isn’t likely to be there for me when I need some support. But what’s needed, of course, is for each of us to “walk the walk” and not just “talk the talk.” So if your co-workers on the night shift are getting cheated out of their differential, the test is whether you and your co-workers on the day shift make it your business to make sure that the union can do what’s needed to take on the employer. One of your union steward’s responsibilities is to greet new employees and fill them in on the union. You can supplement this function very effectively by making a point of talking to newly hired workers about your personal experiences with the union, and making sure that they sign up. Having the union talked up by someone who is not a union official of any kind can go a long way toward creating the needed state of mind that when you get right down to it, the union is “us,” not some separate organization. Your role as a union ambassador is perhaps even more critical outside the workplace. There are a lot of popular misconceptions about what unions are and what they do. You don’t have to look far to find people buying into stereotypes that portray unions as consisting of nothing but fat cat bureaucrats living the good life off of hard-earned dues dollars and cutting shady deals with employers and politicians. Though stereotypes can contain a grain of truth, this negative image is not at all an accurate depiction of the reality of labor unions today. The structure and the power relationships of a workplace where there is no union are very different from those in a unionized facility. In the non-union workplace, employees are simply a collection of individuals, organized into groups according to the employer’s needs. Workers are categorized based on what type of work you do, the location in which you perform your work, the shift you may happen to work on, or other factors relating to the ways in which the employer chooses to get the work done. Some employers deliberately structure the work and the workplace precisely to discourage the unionization of their employees. With a union, those who work for a particular employer are no longer just a bunch of individuals; they are a collective unit, as well. The union has the right—and the legal obligation—to speak with one voice, on behalf of all of the employees in what is known as the “bargaining unit.” This means that the employer loses the power advantage of dealing only with individuals, one-on-one. With union representation in place, the employer has to reckon with the union as the collective voice of all the union-represented workers. When people think about the role that unions play, the first thing that comes to mind is negotiating over a contract. These collective bargaining agreements deal with what are known as the “terms and conditions of employment.” This is unionism at its core: employees banding together to fight for more money, get decent health care and other benefits, and gain more control over many other areas of their day-to-day working lives. There is tremendous variation from one union to another as to how dues amounts are set. And it is quite possible that the different components of your union dues (local, district or other intermediate body, and national/international) are calculated using different formulas and changed in different ways. The formula used for determining what your union dues are, and the mechanisms that are in place for making any changes, usually are found in the constitution and bylaws of the union at the various levels. There is no set rule for how many stewards you’ll find in a particular workplace, or how many will have responsibility for particular work areas. Sometimes there is a natural organization of the workplace—such as a well-defined work area, or a particular work shift or one building separated from the rest of a larger facility—so that it makes sense for stewards to be assigned on that basis. So it may be that stewards where you work function according to workplace geography—a steward may be responsible for all union members on a particular floor of a building, for example. Maybe your steward is one who handles matters that directly affect everyone who does your type of job—such as all accountants in a particular government agency, or all nurses aides on a particular wing of a nursing home—or maybe your steward deals with everyone who works on your shift. Most unions at the national or state level have the authority under certain circumstances to impose what are known as trusteeships (sometimes known as “receiverships”) on local unions. During the imposition of trusteeship, a union local loses control over its assets and the day-to-day running of union affairs. For as long as the trusteeship is in force, an individual appointed by the national union assumes this day-to-day authority. Periodic reports must be filed detailing the reason the trusteeship was imposed and reporting on all of the financial implications. The law says that a union may be placed into trusteeship only for certain reasons, and whatever procedures are outlined in the union’s constitution and bylaws must be followed. Trusteeships often serve useful purposes in weeding out pockets of corruption in union locals, and in helping locals that are in trouble because of extreme fiscal mismanagement or political infighting get back on their feet. At the same time, there have been abuses of the authority to impose trusteeships, where a national union has tried simply to impose its will on a local. Contract bargaining is a process of give and take (with each side, of course, trying to take as much as it can and give as little as possible). Throughout negotiations, each party meets between sessions and holds caucuses—that is, meetings of its members only—during the middle of bargaining sessions. This time is used by each side to sort through which of its proposals it needs to keep pushing for, and which of the other side’s it may be willing to agree to. Issue by issue, the parties explore areas of compromise to see where agreement can be reached. Whether under the U.S. LMRDA (Labor Management Reporting and Disclosure Act) or similar public sector laws, unions generally are required to file various information reports with a government agency and to make the information available to their members. For private sector employees, these Labor Management or “LM” reports are public information, available to you from the local office of the federal Department of Labor, or by ordering from that agency’s website (www.dol.gov). They are worth tracking down if you wish to obtain detailed information as to a union’s financial status, such as assets and liabilities, salaries and expenses of union officers and staff, and any loans the union may have granted to members or businesses. As your union’s contract negotiating team goes through the process of exchanging proposals with your employer, arguing them out, and seeing where acceptable resolutions can be found, you may be called upon to step forward and play a role in the bargaining process. Your union may ask you and your co-workers to let the employer and perhaps also the public know, in a variety of ways, that the voice of the union negotiators is also your voice. The actions called for may be as simple as signing a petition supporting a contract demand or everyone wearing a certain color clothing or T-shirt on a “solidarity day” scheduled by the union. As things heat up, more assertive actions may be called for, like rallies on or off the worksite, conducting an informational picket before or after work at the employer’s premises, or withholding your labor, either for a short period of time or in a full-blown strike. A pressure campaign against the employer that is fought on many fronts—a “contract campaign”—has been the key to union victory in many a contract fight. Society functions under a set of laws passed by legislators. The workplace functions under a collective bargaining agreement negotiated by the union and the employer. Both serve the same purpose: creating a set of binding rules on what is permitted and what is prohibited. How does a contract get negotiated? Sometimes the law under which a particular union and employer operate sets out specific procedures for reaching a collective bargaining agreement. Or in the union contract itself, your union and employer may have agreed upon a set of rules for how the next contract is to be negotiated. Exactly how the bargaining process shapes up will be determined in large part by whether you are in the public or private sector, and by the ground rules or history of the parties in your industry or workplace. Think about asking to work on a union bargaining subcommittee that will have the job of researching the issues or digging up facts to respond to what the employer’s pushing for. Or, if your union does this, you could volunteer to be a special bargaining representative for your work area. Your job then is to help the union negotiators by distributing information on what’s happening at the negotiating table—through handing out flyers or holding small worksite meetings—and to function as the union’s “eyes and ears” on the shop floor, so that the union bargaining team can keep alert to what the members are thinking. Or you may be able to serve on a special bargaining council, usually a pretty large group set up so that representatives from each work area can advise the bargaining team throughout negotiations. In recent years, unions trying to negotiate new contracts increasingly have turned to new ways of waging a broader fight outside the bargaining room. These fights on a second front are referred to as corporate campaigns. In a way, the “end game” in the bargaining process used to be pretty straightforward. If the parties didn’t see eye to eye at the table, then economic pressure was brought to bear: either the union would strike or the employer would lock out the workers. The terms of the eventual contract settlement would be determined by how much each side felt the pain of the pocketbook. But recent years have brought us negative developments in the law, shifts in the American (and world) economy, and the new technology that sometimes takes control of production out of the workers’ hands. These have changed the union view of strikes. Now, unions often conclude that a strike is no longer necessarily the first resort, nor even the most powerful weapon in their arsenal. What Happens if the Parties Deadlock In a Contract Negotiation? If a tentative contract is voted down by the members, what next? Sometimes, the two sides will return to the bargaining table and try again to work out an acceptable deal. But sometimes they won’t go back to negotiating, and a deadlock results. When this happens, a variety of mechanisms may kick in to determine the outcome. Sometimes, the parties call in a mediator, who is a neutral labor professional who works with both sides, to try to find areas of acceptable compromise. If common ground can’t be found, the union can call a strike in the hope that the employer’s loss of production or ability to provide services to customers will force a softening of its bargaining position. On the employer side of the equation, it may seek to turn up the heat by closing the facility and “locking out” the workers, thereby cutting off their paychecks. Historically, disputes that develop this way have been resolved when one side or the other feels pressured enough to make additional compromises in order to reach an agreement. You may find yourself being told by your supervisor to do something that he or she has no right to insist on under the union contract. The natural temptation is to say, “I know my rights, I’m not doing it!” But be forewarned about the “work now, grieve later” rule. This is the generally accepted notion in the world of labor relations that you do not have the right to disobey an employer directive, even if that directive is in violation of the collective bargaining agreement. The required response is to do what the employer says, under protest, and then to pursue relief through the grievance procedure. While there are exceptions – such as for dangerous health and safety violations – think twice before risking discipline for insubordination. If you don’t already have one, it’s worth getting your own copy of the union contract. Depending on what bargaining law you’re covered by, you’re probably legally entitled to get a copy from your local union. You’ll probably find that there’s much more covered in it than you suspected. You may discover that you have more rights than you realized and the potential for more control over your working life. Virtually every union contract contains a grievance/arbitration procedure, which is the way the union and the employer tackle disagreements about workplace rights covered by the contract. Filing a grievance is the equivalent of starting a lawsuit: you put in writing what you believe another party has done that is contrary to the law, and what action will be necessary to correct the situation. If after going through a series of procedural steps the dispute is not resolved, then the last step of the grievance process —arbitration—is the equivalent of appearing before a judge to argue the case out and obtain a final resolution, one way or the other. Your union contract probably spells out what holidays are observed. It also will outline the various types of leave—sick and vacation, perhaps parental and bereavement leave, even time off for jury duty—saying how much you’re entitled to and under what circumstances, and detailing procedures you may have to follow to use your leave. You may discover that there are types of leave contained in the union contract—such as the option of taking unpaid time off or adjusting your work schedule so that you can go back to school—that are used so seldom you weren’t even aware of them.